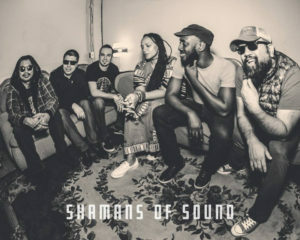 Fri. Jul 27 see this new group formed of DC band heavyweights Shamans of Sound unite hip-hop, r&b, soul, funk and dancehall through their collective love of reggae. Fri. Jul 12 see acapella vocal group Vox Pop. This award-winning group latest release, Very Good..., is slickly produced album that is energetic from start to finish. See Arlington-based conteporarmy repertory dance company Company Danzante present their highly-regarded new works Fri. Aug 2. The 2019 Lubber Run Summer Concert Series - Celebrating 50 Years! Two-time GRAMMY Award® nominated singer-songwriter RAUL MIDÓN opens the 50th Anniversary season of the Free LUBBER RUN AMPHITHEATER Summer Concert Series, North Columbus and 2nd Street North, in Arlington, Virginia. The Series runs Friday, June 14th through September 15th, 2019, Fridays and Saturdays at 8pm, and Sundays at 11am. Come early (7pm) on Opening Night Friday, June 14th for a pre-show celebration with free ice cream (while supply lasts) from a vintage Good Humor Truck and kids activities! 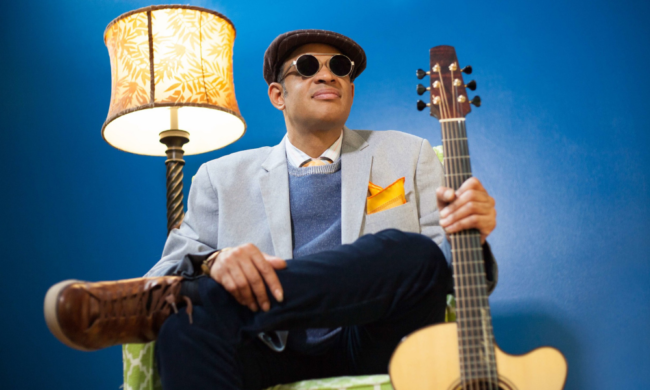 The 50th Anniversary Opening Weekend continues with acclaimed singer-songwriter Justin Jones (Sat., Jun 15); and the first of the season’s Sunday morning family-oriented presentations, the noted children’s performer, Mr. Knick Knack (Jun. 16). 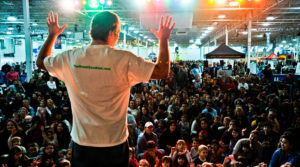 Since the construction of the first permanent stage in 1969, generations of Arlingtonians have enjoyed free summer cultural events at the sylvan venue nestled two blocks off Route 50, ranging from Arlington Children’s Theater to bands like Eddie from Ohio and superstar Ritchie Havens. The full schedule is listed on the following pages. Run-times vary. 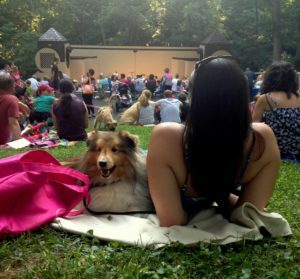 Bring a picnic, some friends and enjoy the arts at Lubber Run Amphitheater! 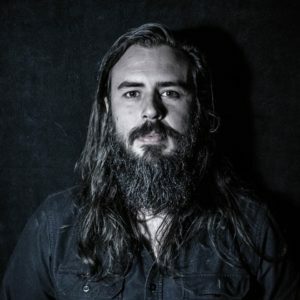 The music of Washington, D.C. based singer-songwriter Justin Jones has been described by The Washington Post as “electrified country and roots-rock that leaves plenty of space for Jones to hold court...like Dave Grohl when at full throttle and Townes Van Zandt when at ease.” The Virginia native has toured North America and headlined popular venues such as The Hamilton and the 9:30 Club. Mr. Knick Knack is Washington DC’s leading entertainer for young children, melting hearts with his infectious original songs focusing on the fundamentals of family, love, and overcoming fear. 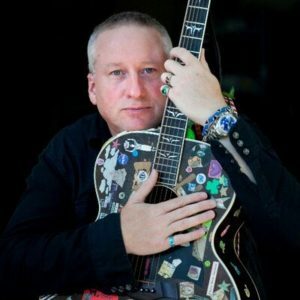 As a solo artist, he has been making music for kids for over 15 years, performing thousands of shows in the DC area and dominating the regions family music venues including Tysons Corner Center, Reston Town Center, and Market Common Clarendon in Arlington. 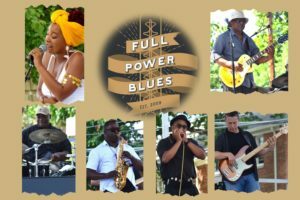 Full Power Blues Band (formerly known as “The D.C. Blues Society Band”) was formed in 2009, and is a mainstay at numerous festivals throughout the DMV, including the Silver Spring Blues Festival, the College Park Blues Festival and most notably the Annual D.C. Blues Society Festival at Carter-Baron Amphitheater. The band vocalist Mama Moon, saxophonist Murray Green, harp player David Harris, bassist Denzil Hathaway, drummer Calvin Newbill, Jr. and guitarist Sam’i Nuriddin. 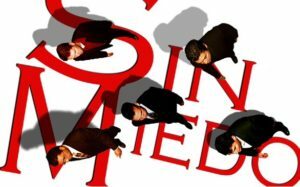 Sin Miedo is Spanish for "Fearless" and it is also the name of one of the best Salsa orchestra in Washington DC. Led by French pianist Didier Prossaird, the name sums up the band's attitude towards music. 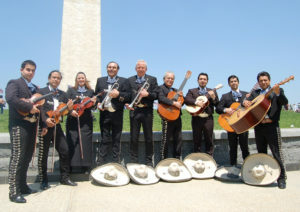 Sin Miedo has been performing in the DC/Baltimore area for the past 20 years, collaborating with Salsa greats Tito Allen and Frankie Vasquez, touring the US and abroad with the Washington Ballet, playing for musical theater in many of Teatro Gala's productions and providing Salsa music for the hottest dance night is the Capital. The repertoire of the band includes the Salsa classics of the 70's to today as well as original music with Spanish and French lyrics. 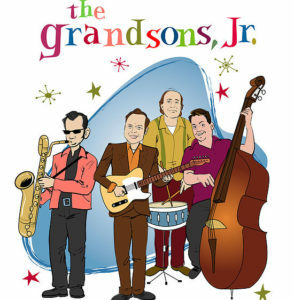 The kids-oriented version of the DC-area roots rock superstars, the Grandsons, Jr., have won "best children's artist" three years in a row from the Washington Area Music Association! 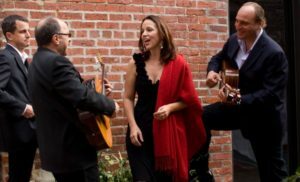 Kids and their parents will dig the upbeat mix of rock, swing, New Orleans R&B, country, and latin music we call Americana. Over the past 25 years performing as The Grandsons, the band has noticed that many of their songs resonate with the younger crowd. As the grandsons, Jr., they combine new material learned especially for the younger set, with Grandsons tunes that have always been popular with the kids. This first-class symphony orchestra makes classical music accessible to every Arlington resident. This performance, their 7th Annual "Pops for Pets" is a benefit for both the Arlington Philharmonic and Animal Welfare League of Arlington (AWLA). Your pets are welcome patrons for this event! Please note that admission is free for the concert, as it is for the entire Lubber Run concert series -no tickets required. One of the perennial favorites of the Lubber Run Amphitheater season, hear some of the region’s great voices under the stars (lineup TBA). Enjoy the thrilling voices that star in productions by Arlington’s Tony Award®-winning professional theater, known for their world premiere and reinvented musicals and plays. Join one of the region’s premiere youth theatre ensembles on a journey for the whole family. 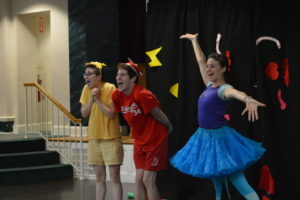 From its play series, Theatre for the Very Young, “A Sidewalk Stroll” starts professional artists who bring park adventures and friendly animals to life, all the while teaching your little one about navigating through life’s surprises. Recommended for ages 1 and older. 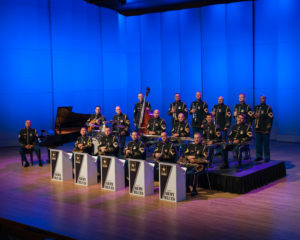 The U.S. Army Blues Concert Band is part of the United States Army Band, Pershing’s Own, is the premier jazz ensemble of the United States Army. First organized in 1970, the 18-piece band became an official element of the Army Band in 1972. Having performed at venues such as the Monterey Jazz Festival, the Montreux Jazz Festival, NYC's Birdland jazz club, the U.S. Army Blues has shared the stage with jazz greats such as Dave Brubeck, Doc Severinsen, Stanley Turrentine, Dr. Billy Taylor, Kevin Mahogany, and Terrell Stafford. 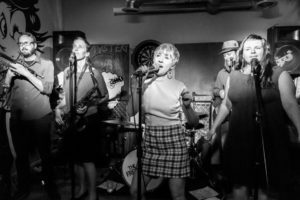 The Fuss is a dynamic ska, rocksteady, and early reggae band from Washington, D.C. Their sound pays tribute to the music of 1960’s Jamaica and the British Mod scene, while putting modern slant on the timeless styles. The group is comprised of 3-part female harmonies, a 3-piece horn section, and 4-piece rhythm section. Since the band formed in 2014 and they’ve had the pleasure of sharing the stage with bands such as The Skatalites, The Toasters, The Pietasters, Eastern Standard Time, The Interrupters, Save Ferris, Steady 45’s, JC Brooks & The Uptown Sound, Black Masala, and many more. The Fuss’s first full-length album “Ourselves” is now available on LP, CD, and Cassette. 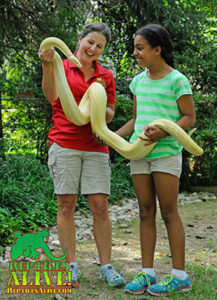 Colorful live reptiles presented by an engaging and kid-friendly Wildlife Educator make this fun for all ages! Enjoy exciting stories about how the animals survive while meeting an exotic cast of snakes, lizards, turtles and other amazing animals. 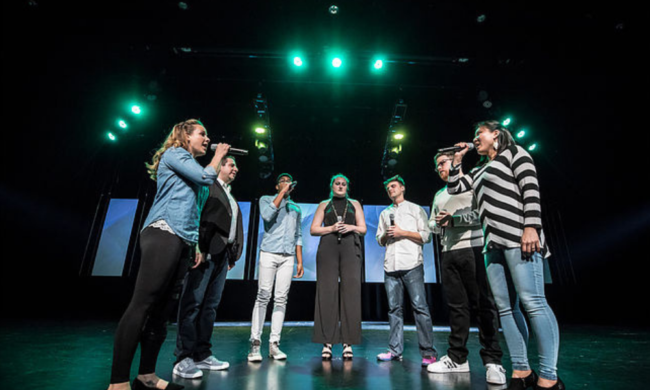 For 15 years, this DC based contemporary vocal group has become synonymous with high-energy, entertaining live performances at such venues as The Music Center at Strathmore, World Cafe Live at the Queen, and Jammin' Java. They’ve top prizes at the Aca-Challenge (2015) and SingStrong DC Aca-Idol (2016) competitions, and 2nd Runner Up at the 2016 Mid-Atlantic Harmony Sweepstakes. 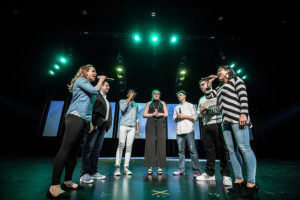 In 2017, Vox Pop was a headliner of the National A Cappella Convention in Memphis, TN. Vox Pop's latest release, Very Good..., is the culmination of hard work refining their sound and style, resulting in a slickly produced album that is energetic from start to finish. 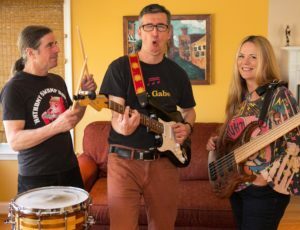 These three bandmates of Rocknoceros "grew up" (if they ever did) in Northern Virginia, and have been making award-winning music for the whole family since 2005. They have gained significant national recognition performing at the Kennedy Center, Wolf Trap. Lollapalooza and Austin City Limits and perform regularly at Jammin' Java. Born in Lome, Togo, DOGO played in different bands in the Togolese capital before acting as the leader of the band of the University in Lome. DOGO moved to the United States in 2000 and founded the DC based Afropop/Afrofunk band Elikeh. 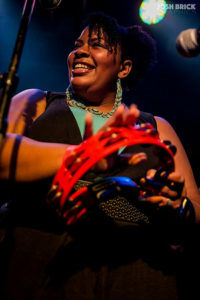 Known for their high energy live performances and original material, Elikeh released 3 albums and an EP that received rave reviews by The Washington Post, National Public Radio, World Music Central. 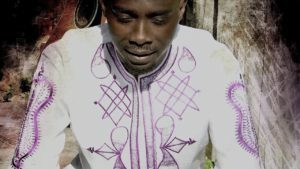 Currently spending more time in his native country, DOGO’s first single "Von Na Agbeto" tells the story of an adopted orphan who forgot all about his adoptive family when he became wealthy. 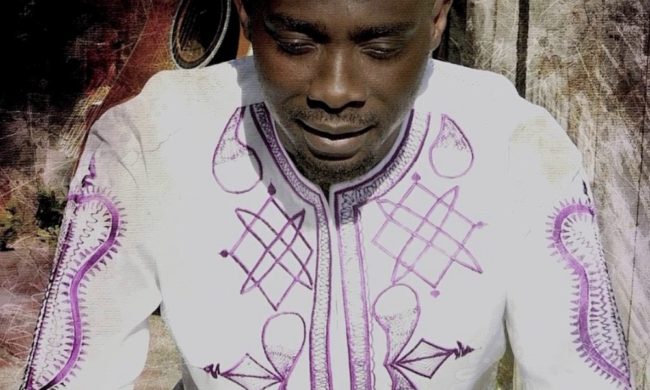 Von Na Agbeto was one of the top 3 songs on many radio charts in Togo promting radio hosts and journalists to proclaim DOGO "L'enfant du pays" (The native son). The Hot Lanes is a 16-piece culmination of a dream Bobby Jasinski had in 2014. 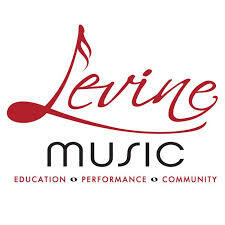 Influenced by Wynton Marsalis and the Jazz at Lincoln Center Orchestra, the group promotes jazz in the D.C. metropolitan area through festivals, concerts, educational masterclasses in the public school system and other appearances. Are you ready to rock the rainbow?? 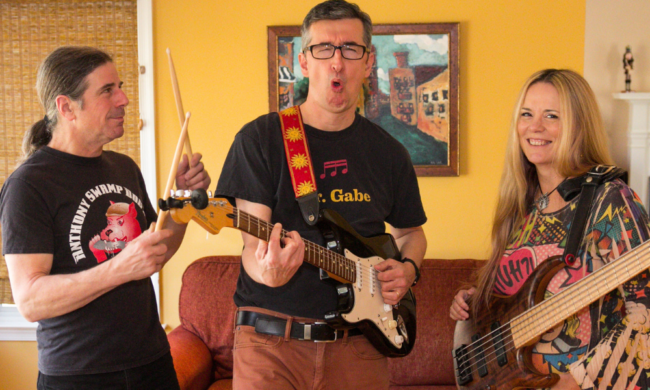 Join the Rainbow Rock Band as they entertain your little dudes with tunes, laughs and more! 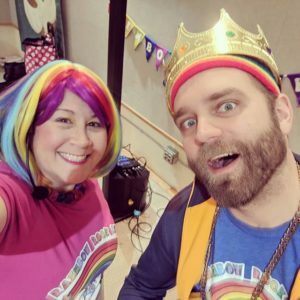 Winners of a Parents' Choice Fun Stuff Award for their debut CD, "Meet the Rainbow," and a 2018 Family Choice Award for their newest release "Total Eclipse of the Rainbow," they provide an absolute mix of musical genres from folk, pop rock to rockabilly, all the while being EDUCATIONAL and FUN!! Your child will learn about shapes, colors, movement, and more! The Rainbow Rock Band encourages all rainbow rockers to participate in the show on the microphone or at their seat, either way your little one is sure to have fun! Join our First Music faculty for an evening of music and fun for the whole family. Their First Music faculty are both accomplished musicians and early childhood specialists who emphasize learning through play. Through First Music, they combine the best of early childhood music education practices with fun, dynamic, and creative programs to deliver the DC region’s most engaging musical learning experiences for children ages 4 months through 8 years and their families. Company Danzante, is a contemporary repertory dance company based in Arlington, VA. 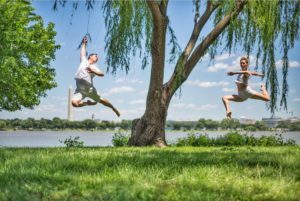 Since beginning artistic activities in 2013, the company has presented work at the Kennedy Center Millennium Stage, Jacob’s Pillow Dance Festival Inside/Out Series, Dance Gallery Festival NYC, Atlas INTERSECTIONS Festival DC, and the Esencia Festival in Chicago. In 2015 the company directors Katherine Horrigan and Arturo Garcia were recipients of the Strauss Artist Grant awarded by the Arts Council of Fairfax County. 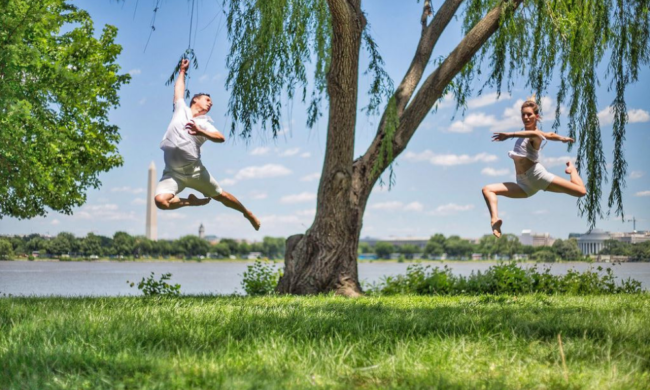 In 2014, Arturo was the recipient of Kennedy Center’s Local Dance Commissioning Project. Italian-born, Baltimore-based jazz vocalist Irene Jalenti brings a jazz take on the legendary rock anthems of The Beatles. This dynamic, soulful performer sings in five languages and has shared the stage with the likes of Esperanza Spalding, Patti Austin and the Count Basie Orchestra. With a Bachelor of Music from Baltimore’s Peabody Conservatory, and a Master of Music from Howard University, Jalenti is truly a DMV gem. In 2019 Jalenti will finally launch her very much awaited first solo recording work, New Island. DC vocalist Carly Harvey combines Blues, Jazz, Soul, & Americana roots styles to create a unique sound that calls to mind Etta James, Bonnie Raitt, Nina Simone, with a little Ella Fitzgerald thrown in for good measure. 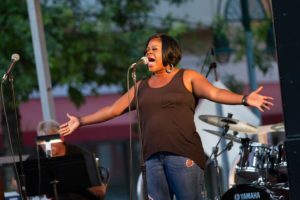 Big City Blues Magazine (July, 2018) singled her out as one of the young singers to watch, and to-date she has shared the stage with such revered local and national names as Ron Holloway, Junior Marvin and Grammy-winner Cory Henry. Carly represented DC in the International Blues Challenge in Memphis in January 2019 and advanced to the Semi-finals. 2019 saw the release of Carly’s new EP titled Kiss & Ride Vol. 1 and the hit single " She Ain't Me" is charting on regional blues radio stations. 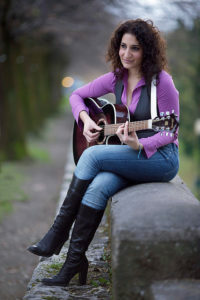 Carly is a two-time DC Blues society Battle of the bands winner (duo 2016, band 2019) and was proclaimed DC's Queen of the Blues in 2016 by Dr. Nick Johnson of WPFW Radio. A delicious blend of bossa nova, jazz, samba, swing and acoustic music performed in English, French, Spanish and Portuguese, Veronneau’s 2018 CD release Love & Surrender has reached the USA World Music Top 10. Currently based in Washington, DC, Veronneau draw capacity crowds at major venues such as Blues Alley, Strathmore Main Hall, and the Kennedy Center Millenium Stage. 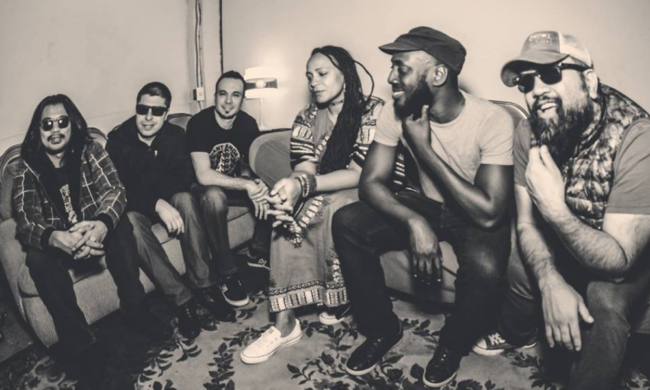 They’ve participated in the DC Jazz Festival and Takoma Park Jazz Festivals in addition to the UK’s Beat Herder festival. 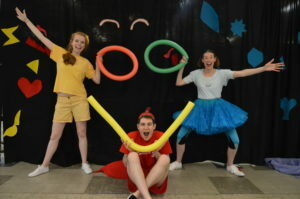 Join one of the region’s premiere youth theatre ensembles for a journey for the whole family: One imaginary friend, cardboard boxes, and a brave Rocket Woman together make one journey that is out of this world! Join our Rocket Woman as she blasts off into space to prove that women love exploration and adventure too! Watch as she uses her creativity, ingenuity and sass to reach her goals and the stars! That’s one step for this Rocket Woman, one giant leap for imagination! Recommended for ages 1 and older. As showcased on the TV show Animal Planet, Wildlife Ambassadors allow children and adults to get up close and personal with animals from around the world as well as many from our very own backyards. 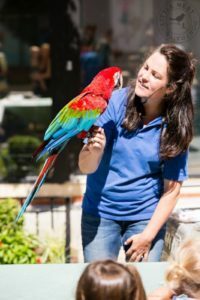 Besides their educational presentations everywhere from schools to the Smithsonian Institution, the organization provides a permanent home for exotics, farm animals and native non-releasable wildlife. As part of the Amphitheater’s 50th Anniversary celebration, the artists of Arlington’s Lee Arts Center will turn the nearby pavilion into an outdoor art studio where, after the presentation, professional artists will guide them in creating clay versions of the animals they’ve just seen! 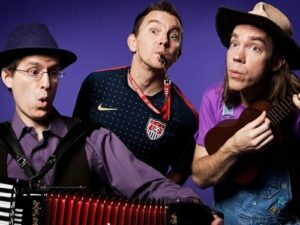 With over 20 years of experience making kids laugh, the Great Zucchini has performed at the White House Easter Egg Roll, National Zoo’s Guppy Gala, and thousands of parties geared to children ages 2-7. He was voted Washington Family Magazine’s “Favorite Children’s Entertainer” of 2017 and 2018. The Lubber Run Summer Concert Series programming begins in mid-January. We recommend that performers interested in being considered for the upcoming Lubber Run season email links to sample recordings/videos starting January 1, 2020. Please understand that we endeavor to create a diverse and fresh range of offerings each season, and submission of your materials for consideration does not guarantee a booking. Please email them to: Josh Stoltzfus, Cultural Development Director at jstoltzfus@arlingtonva.us "
The Lubber Run Summer Concert Series is produced by Arlington Arts, the presenting arm of Arlington Cultural Affairs Division, in collaboration with the Arlington County Department of Parks and Recreation, and with the cooperation of the Lubber Run Amphitheater Foundation. *These events are sponsored in part by the Lubber Run Amphitheater Community Foundation.